[i am a dekaphobic]: Make It Personal! 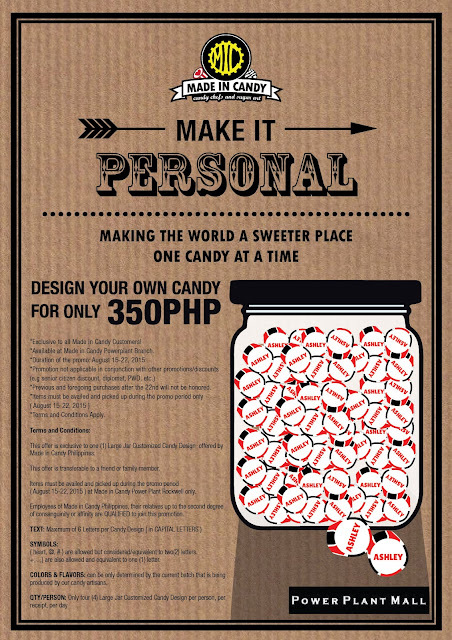 Design Your OWN Candy at Made in Candy! 4. Colors and flavors of the candies depends on the current batch being produced by the candy artisans during that time of the day. This would be perfect as gifts to friends and family. 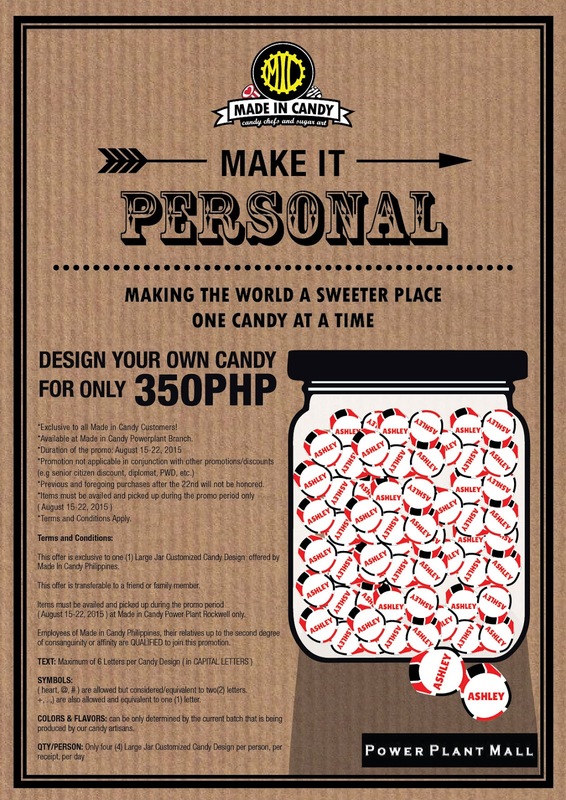 So come to Made in Candy Powerplant Mall and personalize your candy while you still can!